Join the Calinda B & Friends Newsletter. Get a free book! Don't like Newsletters? Follow me on BookBub! Here's another picture Calinda B took. 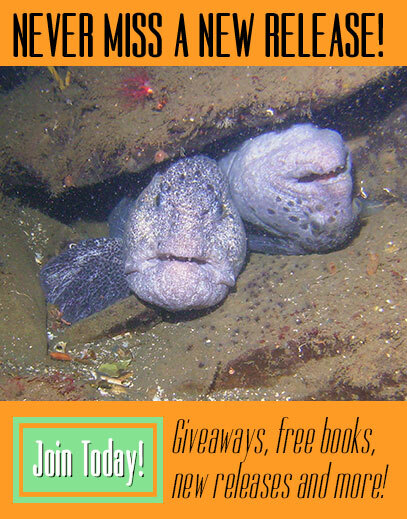 There are these wild critters called Wolf Eels up here in the waters of the Puget Sound. Ugly as sin, they get up to seven feet long. We say they have faces only a mother could love. These two are probably a mated pair and they don't care what the other looks like. © 2016 Calinda B. All Rights Reserved.